Jon Olsson is an ex-professional skier, traveler, entrepreneur and and as of 2016 also a vlogger. Jon Olsson started his career as a professional skier and has won many prices in freestyle skiing and ski racing. His drive for always improving and taking risks has translated from sport into business where he has started multiple successful companies. He started a ski goggles company called ‘YNIQ’ which he later sold and he now spends the majority of his time on his company ‘Douchebags’ which produces and sells different kind of travel bags. Jon currently lives with his girlfriend Janni Delér in Monaco and Marbella (Spain). As seen on his vlogs he frequently travels between these two locations when he is not traveling around the world. Jon has always been very active on different social media websites and has shared his lifestyle of traveling, cars and sports on websites such as instagram, twitter, facebook and occasionally on youtube. At the beginning of 2016 Jon decided to take youtube more seriously and teamed up with videographer and editor Marcus Valeur from Norway. On April 14, 2016 Jon uploaded the first video of his daily vlog series. At the time of uploading this first video Jon ‘only’ had 24.540 subscribers on youtube from his previously uploaded ski and car videos. His daily vlog series however turned out to be a huge success and on June 24th of 2016, after a little over 2 months of vlogging, Jon his youtube account reached 100.000 subscribers. After 289 days of vlogging, Marcus announced that he will quit ‘Team Overkill’. Jon and Marcus announced they want to hire an extra editor/filmer and asked viewers to submit a video application. Jon hired Andreas Hem and after Marcus quit he also hired Benjamin Ortega. Andreas left soon after making Benjamin the only person currently helping with filming and editing. After 2 years of vlogging, Jon was able to reach 1 million subscribers in early January 2018. 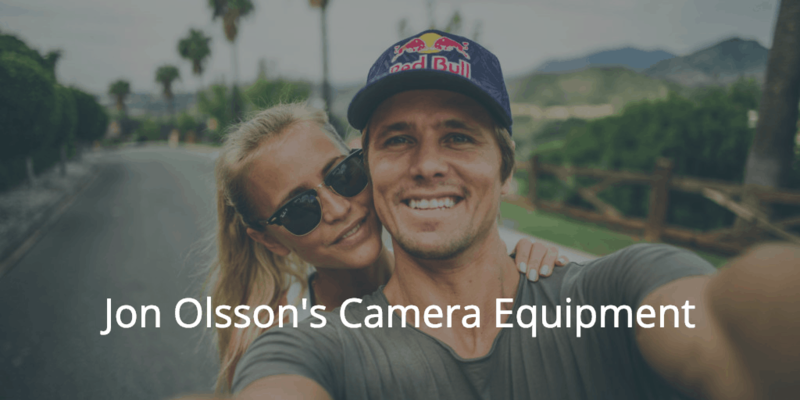 Jon Olsson is a lifestyle vlogger and vlogs his day to day activities, his travels, a variety of sports and outdoor activities and also records a lot of cool drone video footage. Which is all combined into a professionally edited vlog by Jon and Benjamin. Jon has invested heavily into high quality professional audio and video equipment for his vlogs and it certainly shows. The amazing quality of his vlogs has played a big role in the quick growth rate of Jon’s youtube channel and makes his vlogs very enjoyable to watch. Here is all the camera equipment Jon currently uses in the production of his vlogs. Jon currently uses the Panasonic GH5 as his main camera. Why does he use this camera more than than his (much more expansive) RED camera? It’s portable, lightweight, has great image stabilization (where the RED camera needs a gimbal/stabilizer) and it shoots 4K video at 60 frames per second. It also has a flip-screen that a lot of vloggers want to record their videos. This camera is also perfect for shooting slow-motion B-roll, it can record in up to 180 frames per second without cropping. The only downsides to this camera are that the autofocus usually needs manual adjustment and it isn’t the best camera in low-light situations. Jon uses three different lenses with his Panasonic GH5. Panasonic Lumix G 7-14mm f4.0: wide-angle view which is great for vlogging. Panasonic Lumix G 42.5mm f1.7: excellent for everyday vlogging use. Closes focusing distance of just 31cm with power optical image stabilization. 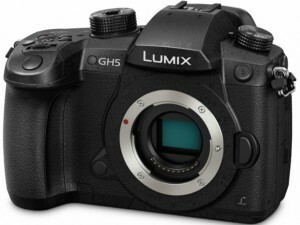 Panasonic Lumix G 100-400mm f4.0-6.3: this long zoom lens is mostly used for shooting long distances for B-roll footage. Team Overkill’s ‘best’ camera is the RED Epic-W 8K. This monster is capable of recording in 8K resolution, this is 16x Full HD resolution or 4x Ultra HD resolution, which they scale down to 4K since almost no one has a screen that supports 8K. This camera has a hefty price tag and starts at $29.500,00. The camera housing was also customized with a camouflage paint job. The RED camera is large, heavy and requires a lot of batteries. 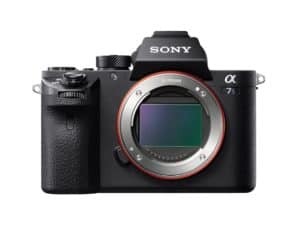 In situations where this is impractical and something more compact is needed while still being able to record in 4K, the camera used was the Sony A7s II. However, after Panasonic released the GH5 this camera was mostly retired from the vlogs. The Leica SL (Typ 601) was the vlogging camera that Jon started his vlogs with. 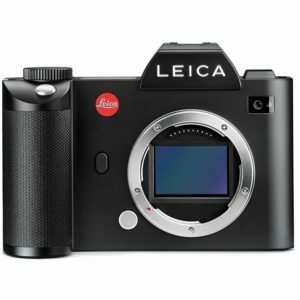 The Leica SL Typ 601 is a very high end camera and Leica claims that the camera has the world’s fastest autofocus which is perfect for vlogging since you will never be out of focus. The downside of this camera is that it is very, very pricey. Jon also uses a variety of lenses for his cameras. 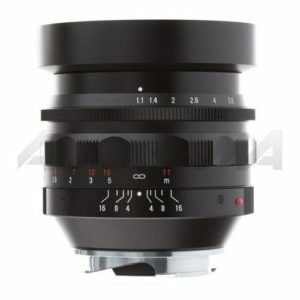 The first one is a 35mm f/1.4 lens. A compact high quality all-metal lens with superior imaging performance at different lighting situations such as low light. The second lens Jon uses is the Voigtlander 50mm f/1.1 and has a very high shutter speed which produces a narrower depth of field. This will create the blurry background look while keeping the main subject in focus which you will see a lot in Jon’s vlogs. 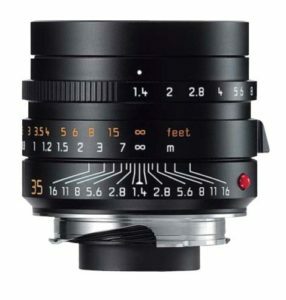 The third lens Jon uses is the Leica 24mm with f/1.4 aperture. 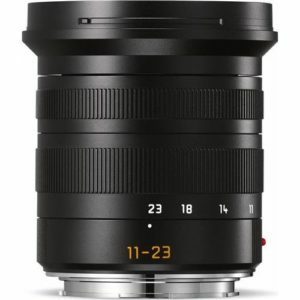 This is a compact wide angle lens which adds a more dynamic feeling to close-up shots and adds a lot more depth to the recorded video footage. 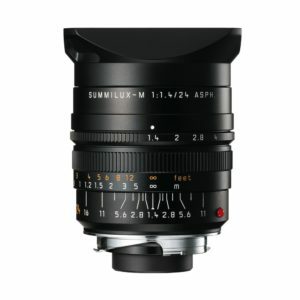 For situations where a wide angle lens is needed Jon uses this 11-23mm Lens. 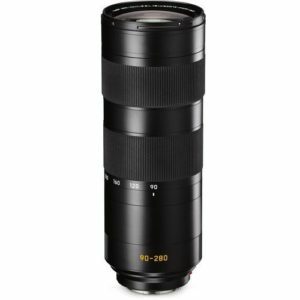 For shooting long distance video in the vlogs Jon and Benjamin use this 90-280mm Lens. 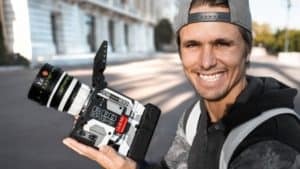 Jon does a lot of different sports such as skiing and surfing and other outdoor activities in his vlogs which can not be shot with the other cameras since these are not waterproof and are very big compared to action cams. For these type of shots Jon uses two different action camera’s. 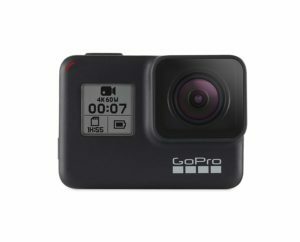 The GoPro HERO 7 is the perfect camera to use when doing sports and outdoor activities. This camera is capable or recording in 4K Ultra HD at 60 fps and can record all the way up to 240 fps in Full HD. The Hero 7 is rugged and waterproof, has great image stabilization and can be controlled with voice or using the touchscreen so it’s prepared for every situation! To record different angles Jon does not use a normal selfie stick but uses the GoPro 3-Way arm which can be folded in to be used as a grip or used as a tripod or arm/selfie stick when the arm is extended. 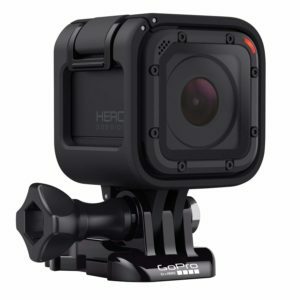 This helps you get the most out of your GoPro and it’s compact to travel with. Jon usually uses this GoPro for mounting to cars, jetski’s, boats or other vehicles. The GoPro Hero Session is a simple, grab-and-go operation with a compact and waterproof design with a weight of just 2.6oz (74g). To mount the GoPro HERO Session to his ski helmet, cars, boats, surfboards and more Jon uses the GoPro suction cup mount. 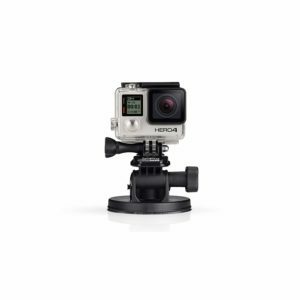 The GoPro suction cup mount can be used for speeds up to 150+ mph and provides a broad range of motion and stability. 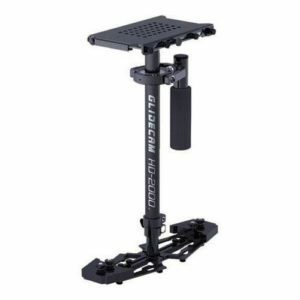 The quick release base makes it very easy to place the camera and remove it when you’re done with recording. For the best possible audio quality it is better to use a professional external microphone instead of the built-in microphone of your camera. 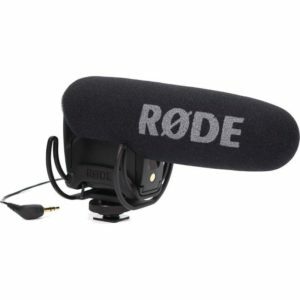 This shotgun microphone by Rode is by far the most popular microphone among YouTubers. If you want to use an external microphone with the Leica LS you will also need to buy an adapter. This microphone fits on any camera with an eternal microphone connection and hot shoe. Jon uses a lot of drone footage in his vlogs to show cool scenery and overview shots. These shots are filmed with a DJI Mavic Air Drone. This portable drone captures 4K Ultra HD at 30 fps and has Gimbal stabilization technology to capture smooth and clean footage. 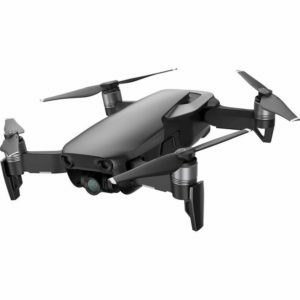 The Mavic Air can fly up to 21 minutes on a full charge and has a range of 2km (6562ft). Jon also has a DJI Inspire 2 drone. 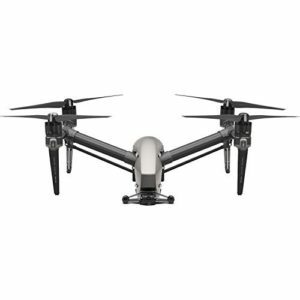 The Inspire 2 is aimed towards a more professional market and requires 2 persons to operate, one for flying while the other controls the camera. If you are looking for a drone you can easily take with you and fly whenever you want it’s better to use the DJI Phantom4 (mentioned above) but if you want to best quality this drone is the one to pick. To view the footage that the drone is recording you will need to mount a phone or tablet on the DJI Phantom 4 remote. A tablet is recommended since these have a bigger screen so you can view the footage more clearly. 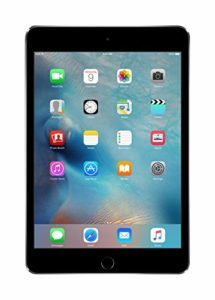 Jon uses a iPad Mini 4 but you can use any Apple or Android phone and/or tablet that can run the DJI GO app. To prevent shaky video footage Jon uses a handheld stabilizer called the Glidecam HD-2000. Although it is a big device it drastically improves the quality of the videos by providing smoothly recorded footage. This Glidecam is only used with the RED camera, not when regularly shooting footage with the Panasonic GH5. 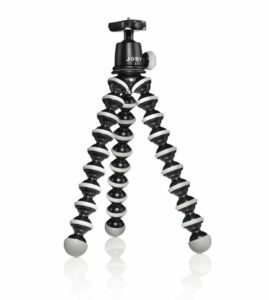 A lot of vloggers use a JOBY Gorilla Tripod, inspired by popular vlogger Casey Neistat, and Jon is no exception. 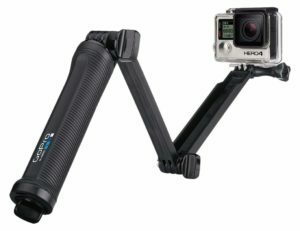 This tripod is extremely versatile and can be used to vlog while walking or setup on any flat surface or ‘hooked’ to a pole, branch, fence or anything else. It is also often used as a selfie stick to get better angles while vlogging. For editing the vlogs they use a 15-inch Macbook Pro with Adobe Premiere Pro and Adobe After Effects. 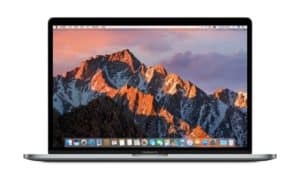 Jon shortly switched to a Windows laptop for editing but found that it got much slower over time and switched back to a 15-inch Macbook Pro with maximum specs. 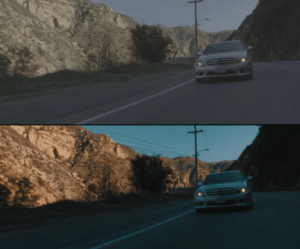 Color grading plays a big role in the style of videos they upload to youtube. Color correcting your raw video footage will make your videos look more professional. Although it is not known which exact color grade settings they use you can play around with different settings in Adobe Premiere Pro and find which settings work best for your video camera and style of videos. If you have a more advanced vlog video editing program that has support for color correcting video footage you can manually adjust it yourself until you have achieved the desired effect. If you are looking for a camera or microphone for your own vlogs you can also check out our buying guides for vlogging camera’s and vlogging microphones. If you want to stay up-to-date with Jon you can follow him on the links below.